Earlier this week, the mother of all Star Wars spoilers hit the Internet. We're talking about it here. If you don't want to, go ahead and bail now. What The Rumor/ Spoiler Is: In short, the rumor/ spoiler claims characters in Star Wars: Episode VII will scurry around the movie trying to find Luke Skywalker in order to stop a tremendous evil. At the end of the movie, that evil will turn out to be none other than Luke Skywalker. It’s a pretty badass curveball and one that would continue the legacy of the Skywalker Family going rogue. Why We're Here: To figure out what this means, we assembled a team of experts to weigh in on the Making Star Wars story. They are Cinema Blend Movie Content Director Sean O’Connell, Cinema Blend Movie Editor Eric Eisenberg and Geeks Of Doom scribe Adam Frazier. What Are the Chances This Rumor is Legit? Adam: Personally, I find it hard to believe that this could be true – it reads like fan fiction, the kind of fan fiction someone who has read every Expanded Universe novel and comic would feverishly write (like Patton Oswalt's filibuster on Parks & Rec). Most of the Web sites reporting these rumors weren't even around when the prequels were in development, so they don't understand the insane amount of rumors and speculations that pop up on Star Wars message boards and fan sites when a new movie is in development. Unless there's concept art or leaked photos from the production that corroborate these rumors, I think it's safe to say these supposedly huge spoilers are nothing more than speculation. Eric: I’m hesitant to put a great deal of stock in this. 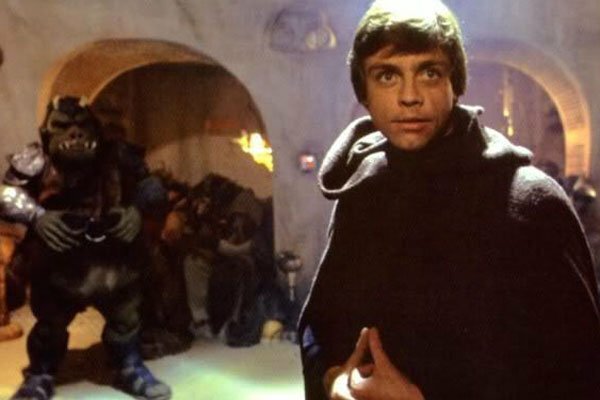 The idea of Luke following the footsteps of his father and going to the Dark Side has been a part of post-Return of the Jedi fan theory for years, and a part of me is concerned that this is just an extension of that. Of course, the reason why it’s been a part of fan theory so long is because it is a rather natural arc for the Luke Skywalker character to take after the events in the original trilogy. Still, I’m holding on to my grain of salt. If It’s True, Is It Too Late in the Game for Re-Writes? 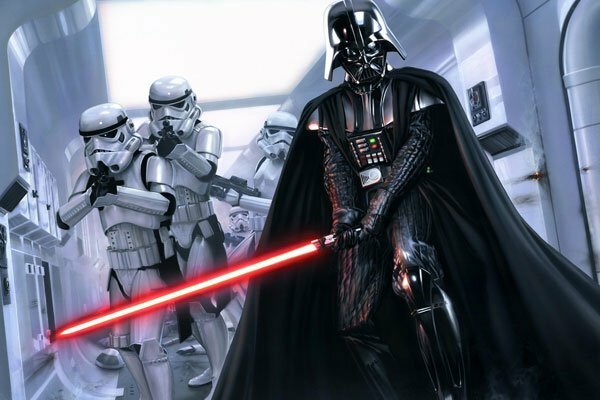 Adam: If the rumors are true, and this is a huge reveal on the level of "I am your father," then LucasFilm and Disney may actually go back to the drawing board and rework it. But then again, the biggest reveal of Star Trek into Darkness was spoiled months before release and J.J. Abrams stuck to his guns. When the movie came out, 90% of the audience already knew who Benedict Cumberbatch really was, and the other 10% didn't care. As for Star Wars, they've still got a year to go until release so again, if it's true – they've still got time to change things. But it still sounds like fan fiction to me. Sean: It’s likely too late in the game for massive re-writes, yes. Remember, Star Wars already drastically changed direction when J.J. Abrams went with a different screenwriter and placed the focus back on the stars of the original trilogy. Would he have done that to make Luke evil? Unlikely. If this is the ending of Episode VII, Abrams might change when the moment is revealed, however. But I don’t see a massive overhaul in this movie’s future. Eric: Given that the production of Star Wars: Episode VII has already experienced some major delays and setbacks that have threatened a release date push back to 2016, I also have a hard time believing that the movie can just change gears with rewrites at this point in the game. Sure, it sounds like this could be a massive spoiler that Abrams doesn’t want fans knowing going into the film, but Luke being evil is undoubtedly something that has a widespread effect on not only the plot of Star Wars: Episode VII, but the entire future of the franchise. Fixing this situation would require huge rewrites, and it’s just too late for that. Why Would You Make Luke the Villain of the New Trilogy? Adam: Well, it's a story straight out of the Expanded Universe. In "Dark Empire," Luke encounters the clone of Emperor Palpatine. Palpatine – who transferred his consciousness to a new clone body after dying in Return of the Jedi – offers him apprenticeship, and Luke accepts. Luke literally says, "Yes. My father's destiny is my own." Of course this is all a ruse so Luke can get close to Palpatine and destroy the Empire (and Palpatine's clone lab) from the inside-out. While he does succumb to the Dark Side initially to convince Palpatine of his loyalty, Luke eventually frees himself and reverts back to the hero we always knew he was. So, that's really my biggest issue with this rumor - is that it's nothing more than someone taking a few EU stories and slapping them together to create a new story. Sean: Why? Because Mark Hamill is a good actor. Because Hamill recently earned his bones voicing another classic villain in The Joker, and might favor a walk on the Dark Side. Because having Luke be a beacon of light is familiar, and Star Wars might need to be turned on its ear by J.J. Abrams and crew if they are going to justify bringing the franchise back for reasons that aren’t just monetary. 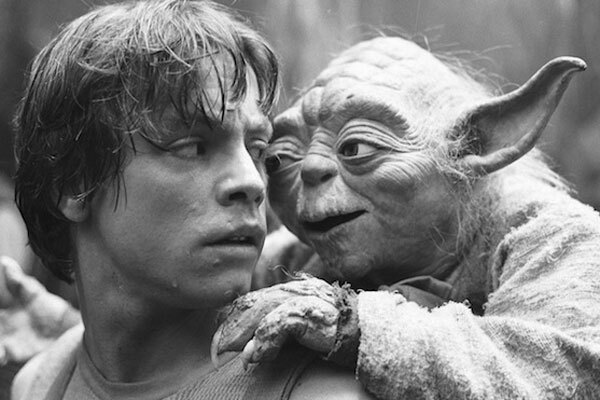 Perhaps the original Episode VII draft had Luke Skywalker as an Obi-Wan mentor to young Jedi? And maybe Hamill read it and said, "Flip the script. Make me wicked." Right now, it’s anyone’s guess. Eric: If this rumor is true, it’s kind of hard to imagine that it wouldn’t lead to Luke Skywalker being the new big bad of the Star Wars universe. After all, seeing one of the most legendary cinematic heroes of all time go to the Dark Side should have a pretty huge effect on the fanbase, and it’s not something that Abrams and the series could possibly just be done with after just one film. If the filmmakers behind Episode VII are going to pull off something as huge as making Luke evil, then they need to have that arc play out over multiple features. Would Fans Accept A New, Evil Luke Skywalker? 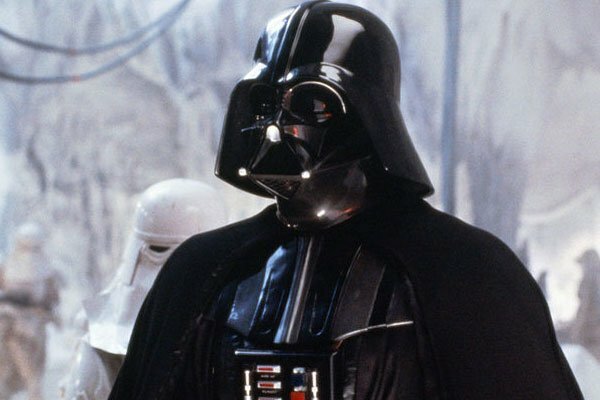 Adam: Well, considering they already accepted an "Evil" Luke Skywalker in 1991 when "Dark Empire" was released, I would say yes - but, it's all so predictable. I mean, if Episodes IV, V, and VI eventually led to the redemption of Anakin Skywalker, wouldn't we assume Episodes VII, VIII, VIX will lead to the redemption of a Luke Skywalker who has fallen to the Dark Side? It's not that intriguing at all really, and if this turns out to be the "big reveal" of Episode VII, I think most die-hard Star Wars fans will be underwhelmed. Sean: Fans likely will accept anything, so long as it’s better than the prequel trilogy! Seriously, fans seem far more forgiving these days, so long as what you are trying to sell them works. I wasn’t convinced that a rebooted Star Trek could use the classic characters of Spock, Kirk and Bones without tarnishing the legacy of the timeless television and film series. The 2009 Trek proved me wrong. (Though Star Trek Into Darkness kind of reversed the trend back the other way…) Making Luke evil makes some sense in the grand scheme of the Star Wars mythology. And pitting him against his former friends in Han Solo and Princess Leia could make for some fantastic scenes. Eric: Unless they somehow make Evil Luke look stupid aesthetically or manage to completely betray one of the core elements of the character, I have a hard time imagining that Star Wars fans would have any real problem with this direction. 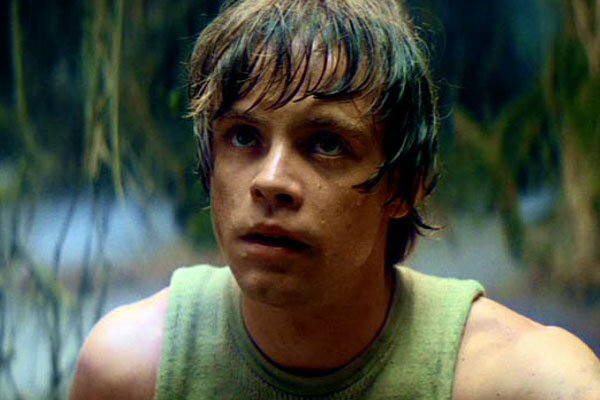 Luke started heading down a dark path all the way back in Empire Strikes Back, and as I mentioned before, having him take that path all the way to the end is a rather natural progression for him. Fans may be upset that a great hero has been corrupted, but that doesn’t mean they won’t "accept" him. Will This Affect The Box Office? Adam: I don't think so. Star Wars fans are so loyal that we gladly buy 15 different versions of the same six movies over and over again on various formats just because there's a new cover or a new behind-the-scenes featurette. Star Wars fans are locked in already - they already requested that week off of work. As for casual fans (is there such a thing? ), they may be even more inclined to go, just to see if the rumor is true. Sean: No. Nothing will affect the box office, as far as I’m concerned. About the only thing that will derail this train is a trailer for Star Wars: Episode VII that features 75% Jar-Jar Binks scenes. And even at that, I think the curiosity factor of a new Star Wars would lead to a massive opening for Episode VII. This rumor doesn’t help the box office for Episode VII. It doesn’t hurt the box office. This movie will be completely massive, no matter what. Eric: I don’t really see this news affecting the box office one way or the other. Star Wars: Episode VII is going to be a major event film and is going to make a ton of money regardless of what spoiler information is out there – and the truth is that most audiences probably won’t even know about this spoiler going in. It certainly won’t affect it in a negative way, as even the consistently low quality of the prequels wasn’t enough to keeps fans away. Ratherthan having any kind of larger consequence, this bit of leaked information will probably simply exist on the internet to ruin Star Wars: Episode VII for anyone who comes across it.